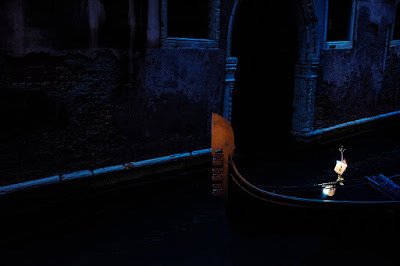 All my best moments in Venice have been in the dark, on the water. I can never get enough of those journeys down back canals in small boats by night, when the city offers her most intimate, most secret and magical hours. 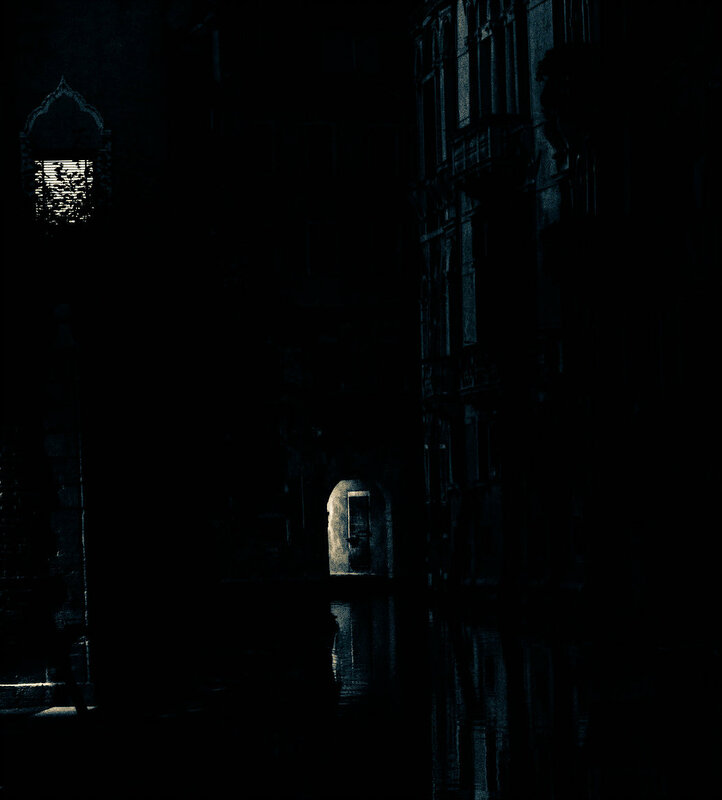 My nights afloat on Venice’s liquid streets always find their way into my novels. 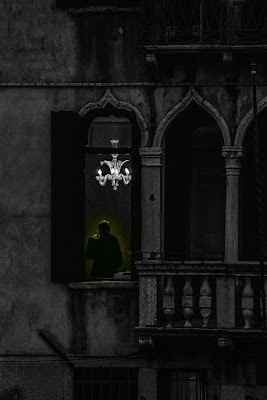 They graft themselves to plot-lines, be they scenes of adventure in a children’s book or consummations of passion in novels for adults: sometimes, it seems to me as if Venice has two nights – one for terror and one for love. Apart from the personal pleasure these journeys give me, I know that they are catnip for my writing. 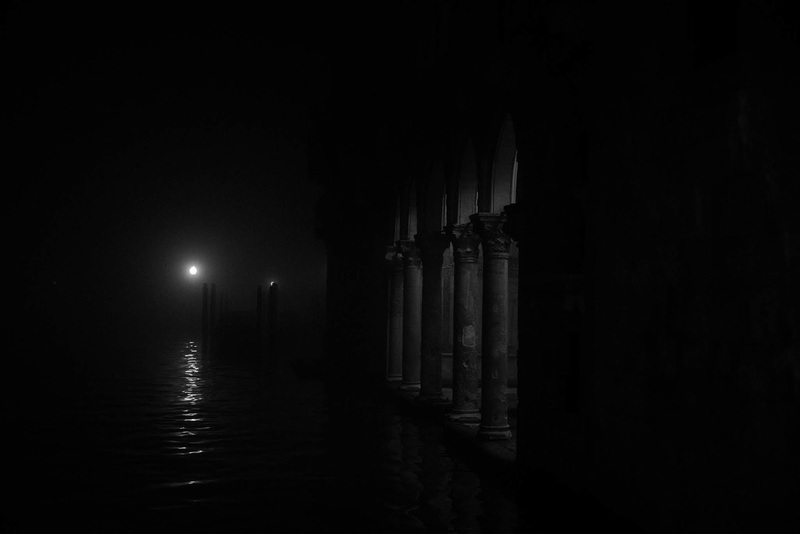 That’s because everything is intensified at night in Venice. For a start, there are fewer packs of tourists to clutter up and dilute the lines of the architecture. By night, fewer rattling suitcases drown out the tentative and delicate sounds of the water. 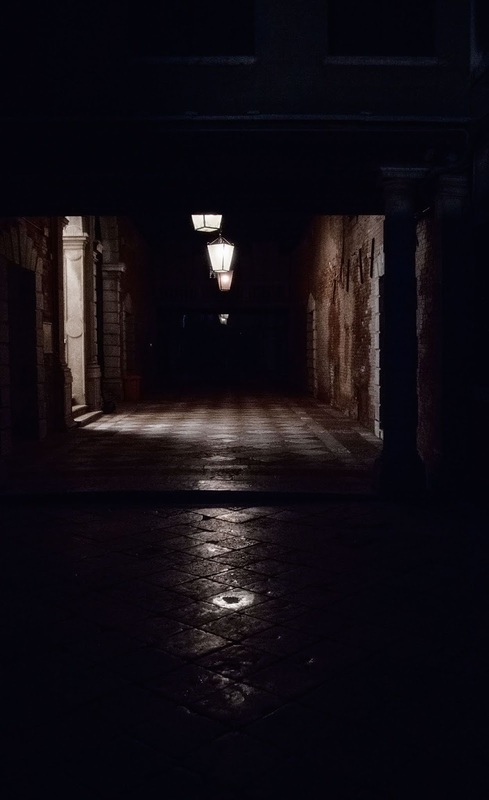 The tiny real noises of Venice start to make themselves heard … cicadas obsessing in hidden gardens, a rat tugging a lettuce leaf across paving stones, a lone violinist dragging his bow across his instrument at an unseen window. The palaces seem to bend down solicitously, offering their ornaments to view. Architectural patterns, softly illuminated, are suddenly picked out in lyrical clarity. It’s also at night that Venice’s beauty can most easily become a metaphor for all kinds of things, including interior ugliness, corruption and a looming kind of fear. In my forthcoming children’s novel, The Wishing Bones, four young people make a journey that combines the two: an after-midnight boat trip through a silent city, drained of colour, during which a young Casanova plays a violin strung with mermaid hair, while gazing into the eyes of the saddest girl I’ve ever written, Sorrowful Lily. I’ve recently had the pleasure of meeting David Winston, a photographer who makes the night in Venice emotionally legible in almost the same way that I, as a writer, attempt to do. I have walked around Venice with David in brilliant sun and impenetrable mist, shadowing his photography with my notebook, and I’ve loved seeing how he thinks. It soon became clear to me that what I render in words, he renders on paper with chemicals and an artist’s eye. 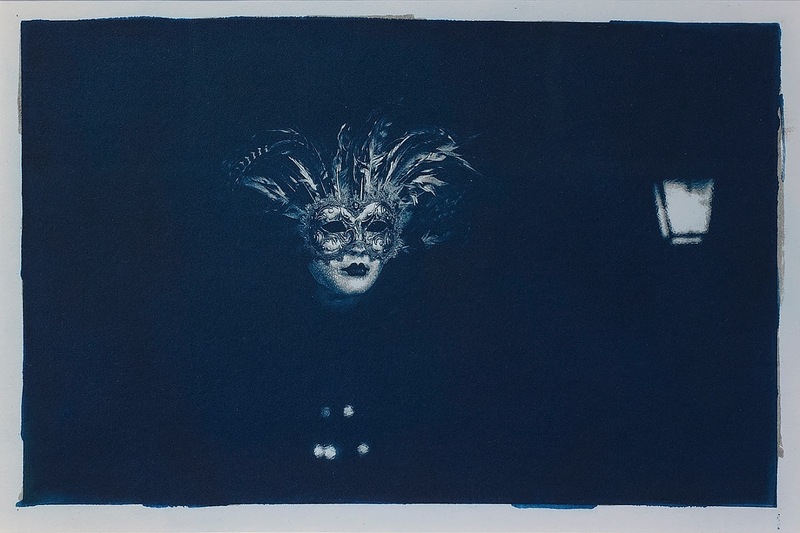 This post is illustrated with pictures from his Nocturnes series. 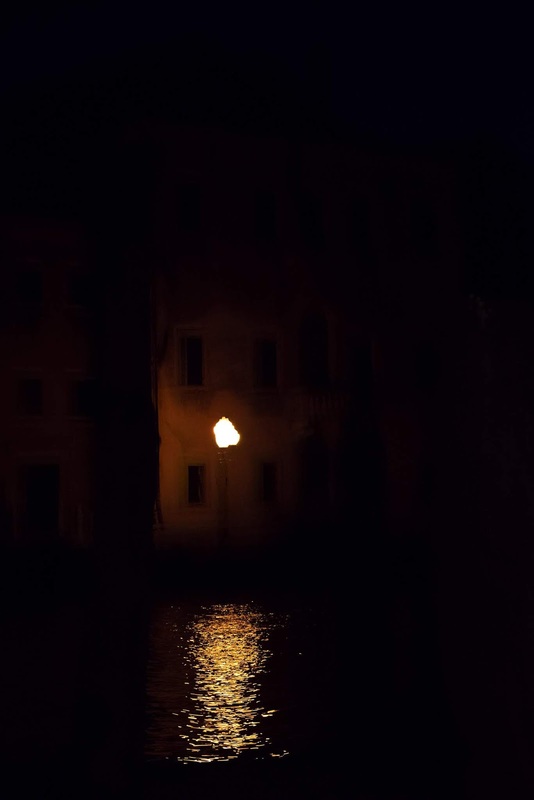 I showed David’s Nocturnes to a Venetian friend who teaches photography. More than that, this is the same friend who has lately given me the pleasure of night trips around the small canals late at night. 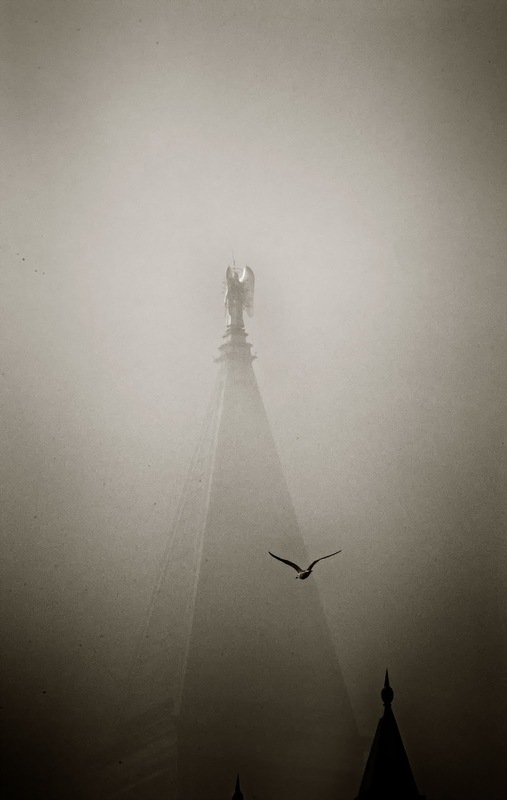 He agreed that David’s pictures truly capture that otherworldly experience of the city. ‘Emerge una sensibilità sapiente,’ he said. ‘What comes through is a knowing sensitivity’. David has kindly allowed me to ask him some questions about how he came to create his Nocturnes. First of all, you have a completely separate career as a restorer of antique pianos. So how is that you came to spend so much time in Venice? Just over two years ago I had been through some very big changes in my life. 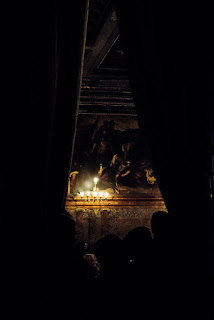 I had been to Venice for Carnevale the previous year, but then I was not alone, so didn’t take the time to get to the heart of the place. When I did go back, through a bit of serendipity, I stayed in the Hotel Ca’ Pisani, near Zattere. I noticed that they had an exhibition in the upstairs foyer. I got into conversation with the owner, Marianna, and asked if she would be interested in exhibiting some of my photographs. She said she’d take a look at my site. After a very short time she came back with a very positive ‘Si’. In preparation for the exhibition, I kept returning to Venice and each time it drew me in a bit more. Eventually it just made sense to rent someplace. Now I spend just under half my time here. 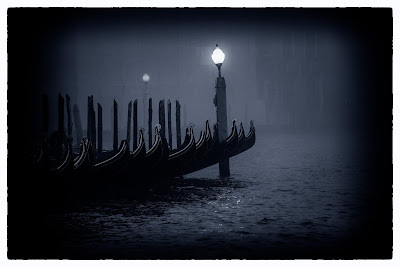 So this change in your circumstances left you free to ask the question, ‘What do I actually want to do now?’ instead of the usual ‘What do I have to next?’ The answer turned out to be, it seems, ‘creating painterly photographs of Venice’? 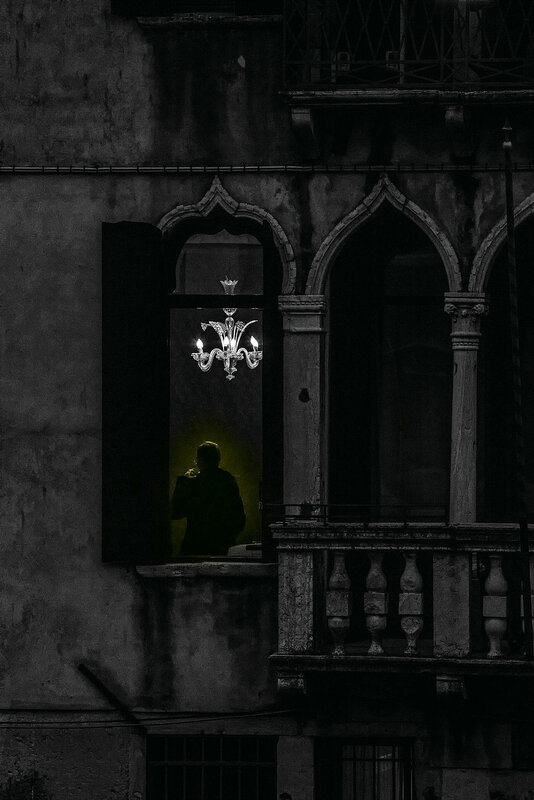 Yes, I try to come up with an answer to what draws those of us to Venice who want to make it a home. I think, hopefully without sounding too ‘pseudo’, that it is the pursuit of beauty. For me, beauty is somehow evidence of the divine and that is a very human pursuit. 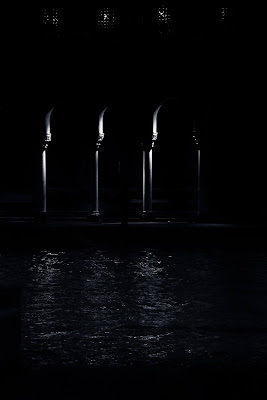 What is it about the night in Venice that draws you? Venice is a wily mistress. During the day, when the city is overrun by the selfie-taking admirers who trample through her beauty without really asking, she pulls into herself. So it is hard to keep her in your sights unless you can keep the memory of her nights in your head. Yes. And if you want to take a picture of a beautiful woman, you do her the courtesy of engaging her in conversation. You have the humility to learn something about her. And you don’t insult her by taking her photo where she is only the backdrop. This mistress knows her beauty. As the sun goes down, she breathes a sigh of relief and you literally feel the city reveal and become herself again as the night draws in. You wrote in one of your books how in the fog ‘Venice deconstructs herself’. That really made me sit up, because it so captured my own feeling about the place. What happens is that, through this deconstruction, you see again the essential elements. I think that was The Floating Book, which opens in fog and disarray. Venice is notably more ‘of the night’ than most modern cities, isn’t she? Her lighting is dimmer and her darkness is therefore blacker? And her mysteries more profound – and intriguing? A wonderful thing about Venice is how the lighting is not an all-purpose flooding of the shadows. 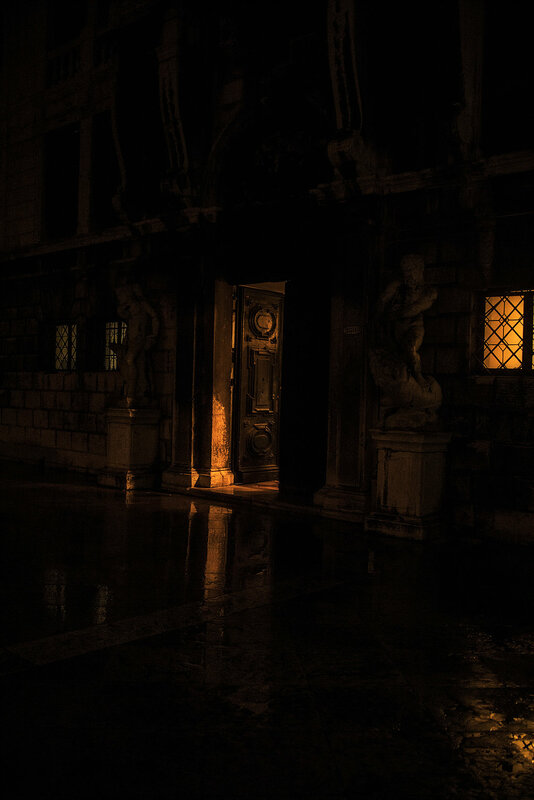 Instead, everywhere you see a single light over a door, not there to generously light the way of passers-by, but simply to light the doorway for the inhabitants. 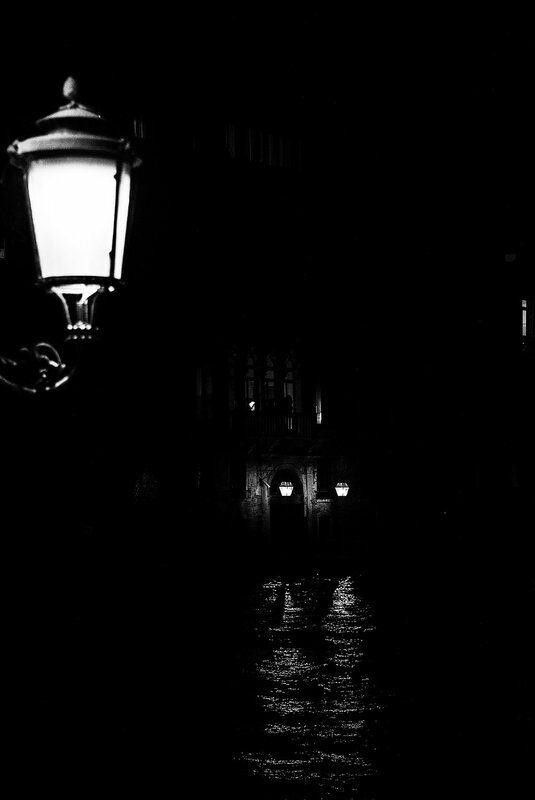 Late at night, I wander the calle in search of shadowy doorways and colonnades that are full of mystery, revealing little of what is behind them—not only who lives there now, but who lived there before. Where does that colonnade lead? 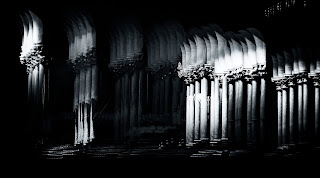 Do the colonnades invite us to explore further, or do they instil fear of what lurks there? 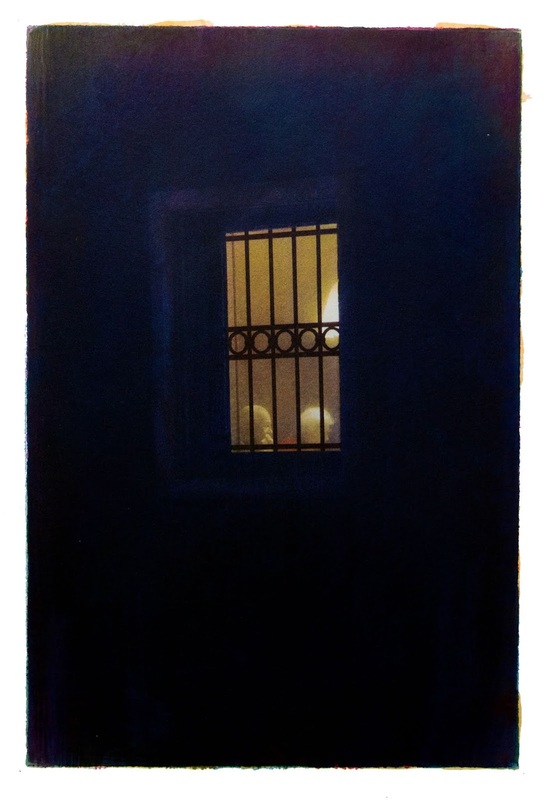 I suppose that, in a way, with my nocturnes what I’m trying to do is also deconstruct and to reveal simply a mood that then must engage our imagination. 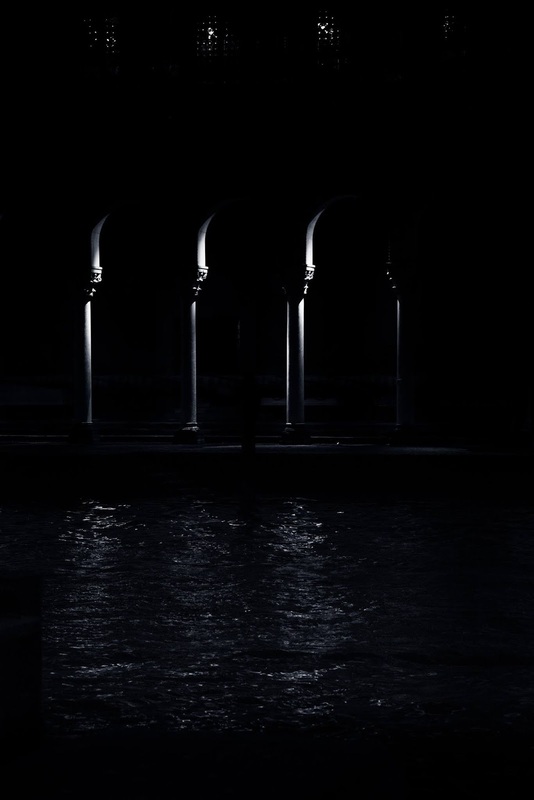 As a musician, I have always been drawn to the musical form of the nocturne, which is after all much the same idea – music that’s just a suggestion, infused with only sufficient light to reveal its form. Then our imagination has to fill in the rest. What kinds of stories are you trying to tell? 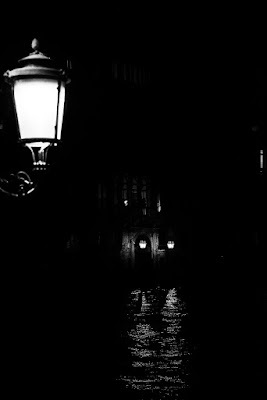 I want to show my very personal admiration for the dark beauty of this improbable city. I go hunting at night for my images. It is a very emotional process. 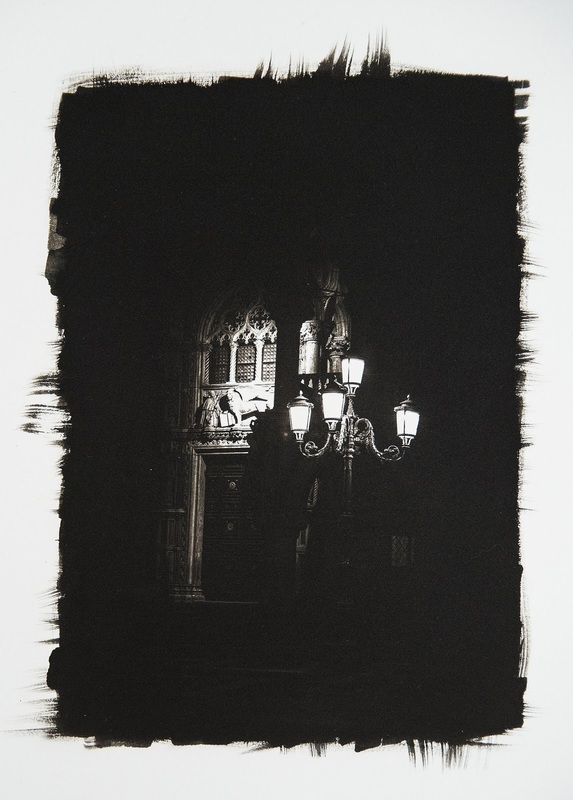 For me it is a city of full of ghosts and with my Nocturnes I am trying to show where they emerge from the darkness. How do you ‘paint the light’ into the raw photographs? Your use of light seems positively editorial. I actually try to start with a raw image where the light seems to be changing – on the way from light to darkness. So, rather than a static, frozen moment in time, it is capturing the sense of change. Your photographs rarely remain untouched after they’ve been taken. Because capturing the image is only half of the story, isn’t it? 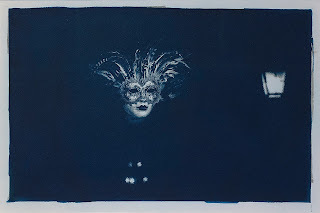 Back in the darkroom, you transform your photographs using the techniques of Gum Bichromate, Cyanotype, Platinum/Palladium, Chlorophyll Print. Why do you use such old-fashioned techniques to re-render them? Modern photo processes are too exact and do not leave enough to the imagination. Photographs are more often than not simply just used to say ‘I wuz 'ere’… rather than as an expression of emotion. Current processes are more adapted to this simple need. The unpredictability, the happy accidents of the early processes produce a more human, personal result. I use many different processes in producing my final images. The camera can be an indifferent, objective observer and our brain plays tricks. How often have you taken a photo, only to see later that it was ruined by something in the corner of the picture that you did not notice when you took it? That is because the camera does not have the human filter, which is really the essence of artistic expression. Photography has become more and more sophisticated and at the same time, to me, a disturbingly undervalued form. It can be too easy and the magic is lost. I was looking for a way to produce a photograph which shows what I see - where the machine of the camera is less dominant. I can intervene in the process and produce an image that shows more accurately what I see in my head when I press the shutter. Most of the processes I use go back to the earliest days of photography in the mid-19th century, although some are also modern techniques I’ve developed along the way. So it can be very bewildering to people when I try to explain what is involved. Essentially, one must start with a blank sheet of watercolour paper and apply various photosensitive chemicals to the paper with a brush. Everything matters and changes the result: how you brush on the chemicals, what kind of brush you use, what type of paper, humidity and of course which chemicals. I get so excited about all the different possibilities…. 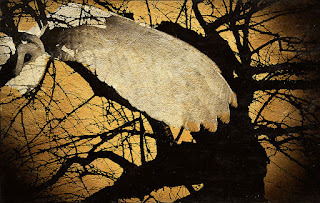 in a modern take on the Renaissance use of gold leaf in painting, I have also experimented a lot with printing on thin tissue and then adding gold and silver leaf to the back of an image. I am happy to use digital techniques where they add to the palette, but again, never in a conventional way. I find that so much digitally-produced photographic work can appear overworked and be totally soulless, so I must leave something to chance in the way I use it. Recently I have been working a lot with multiple exposures created in camera, layering one image over the other. One can get some startling surprises and juxtapositions. 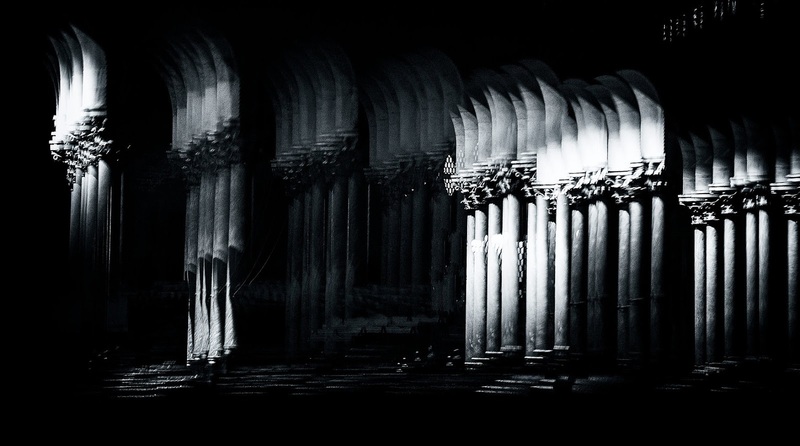 I’ve been producing a whole series called ‘Venice Multiplied’. Interestingly, by layering one essential aspect of the Venetian landscape over another, this technique effectively ‘deconstructs’ the city and emphasises a single element in an often fantastical dream world, which is of course what the place is. 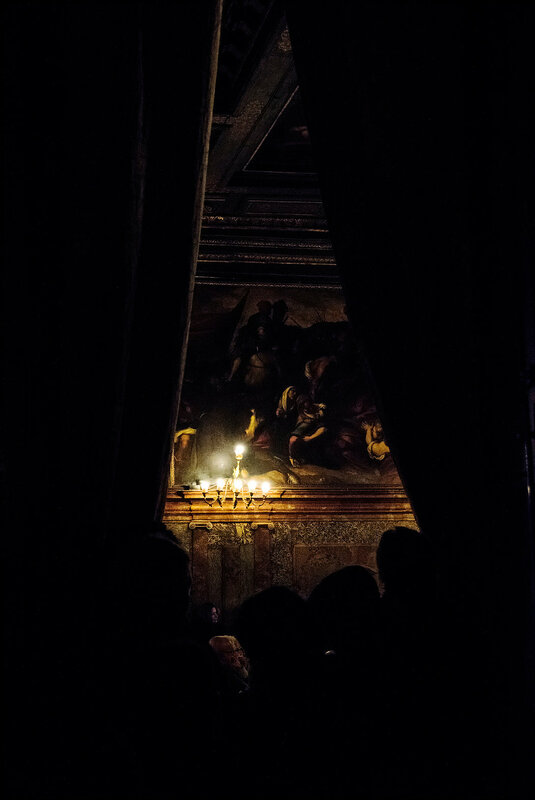 Of all the different processes, which are best adapted for telling Venetian stories? I would say probably the Gum Bichromate process. There are so many ways to build up layers using different pigments and density. It really is a cross between photography and painting. I want my photographs to be stories and stories are, after all, made up of layers. In this process, watercolour pigments are mixed with light sensitive chemicals and the image is built up in many stages: you must have a different negative for each colour value: red, blue and yellow. The density of the image slowly comes together after as much as 25 different exposures, one over the other. There is a tremendous opportunity to change the final image depending on which pigments you use, obviously. Then, there is the opportunity to combine different processes, which multiplies the available palette ten-fold. 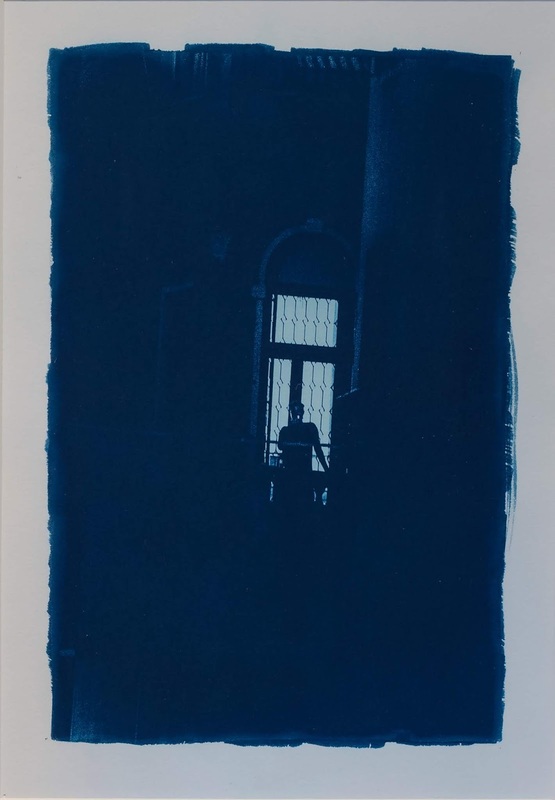 I especially like starting with an image printed in the Prussian Blue of the cyanotype process, then overlaying with several passes of Indigo or Lampblack, which adds wonderful depth to the shadows and renders a beautiful translucent lapis lazuli colour. Can you give examples of picture with each process? Are you exhibiting in the UK any time soon? Where? Yes, I am. From 4-7 April I will be exhibiting my work at Roy’s People Art Fair, at Bargehouse in London, which is near the OXO Tower. It is a really interesting artist-led show with a wide mix of artists. Thank you, David, for your time and your patience. Beautiful - utterly beautiful! Thank you for this, Michelle and David. 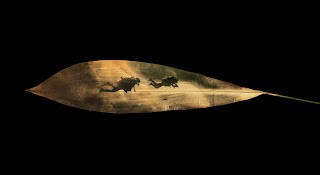 What stunning photographs and how fascinating to read about the techniques used to create them.